Check out Tobi's Carla Studded Off Step Mini Skirt Rock your next event with the Carla Studded Off Step Mini Skirt! Featuring a classic denim look with studded embellishments on a non-stretch cotton. 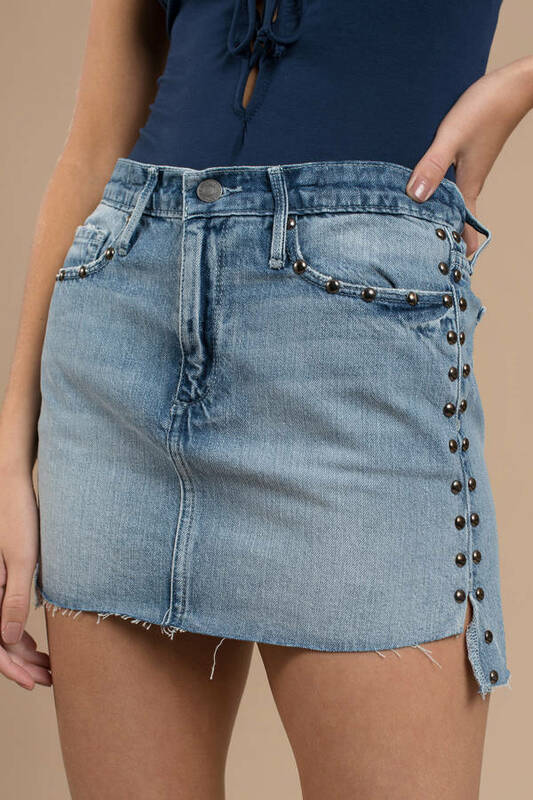 Rock your next event with the Carla Studded Off Step Mini Skirt! Featuring a classic denim look with studded embellishments on a non-stretch cotton.